The Canon Macro EF 100mm f/2.8L IS USM is a versatile L-series short telephoto prime that is also well-suited for portraiture and other mid-range subjects. 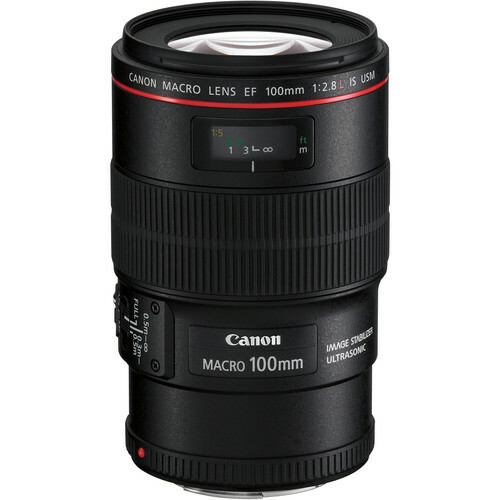 As a macro lens, however, this 100mm offers a life-size, 1:1 maximum magnification and an 11.8″ minimum focusing distance. Complementing close-up shooting, an Image Stabilizer is featured that minimizes camera shake by two stops at full 1:1 magnification, or up to four stops at lower magnifications for sharper handheld shooting. Also contributing to smooth and intuitive handling, a ring-type USM and internal focusing design offers quick, quiet, and accurate autofocus performance along with full-time manual focus override. In regard to its optical assets, one ultra-low dispersion element is featured, to control color fringing and chromatic aberrations, and a Super Spectra coating has been applied to suppress flare and ghosting for improved contrast and color fidelity. Additionally, as an L-series lens, this 100mm f/2.8 is weather-sealed for working in inclement conditions. Ideal for macro shooting, this lens offers a life-size 1:1 maximum magnification along with a minimum focusing distance of 11.8″ to suit working with close-up subjects. Focus Limiter switch lets you constrain the focusing to three different ranges for faster focusing performance: 11.8″-1.6′, 1.6′-infinity, and the full 11.8″-infinity range. 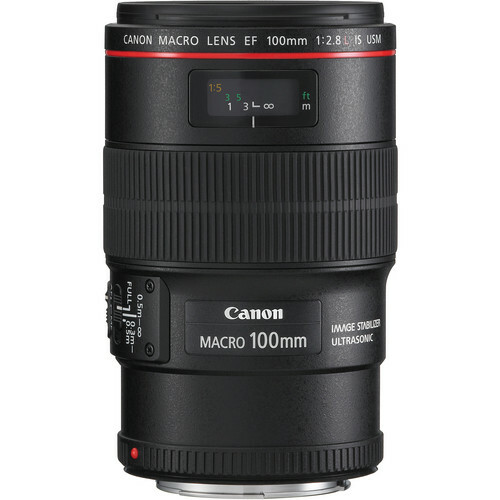 Rent the Canon Macro EF 100mm f/2.8L IS USM lens from Deck Hand Camera Rentals today!